Connected Numbers is a great place to buy your 0870 numbers. Getting an 0870 number for your business used to be very costly, difficult to manage and monitor, and it also did give revenue share at one time, but no longer. 0870 numbers now work very much like freephone 0800, 0808 and 03 number ranges. An 0870 number can be accessed online and managed online. Buying an 0870 number will give your business a national appearance. However, most businesses have switched to 0871, 0872, 0844 and 0843 numbers to achieve some revenue share return on inbound call traffic. 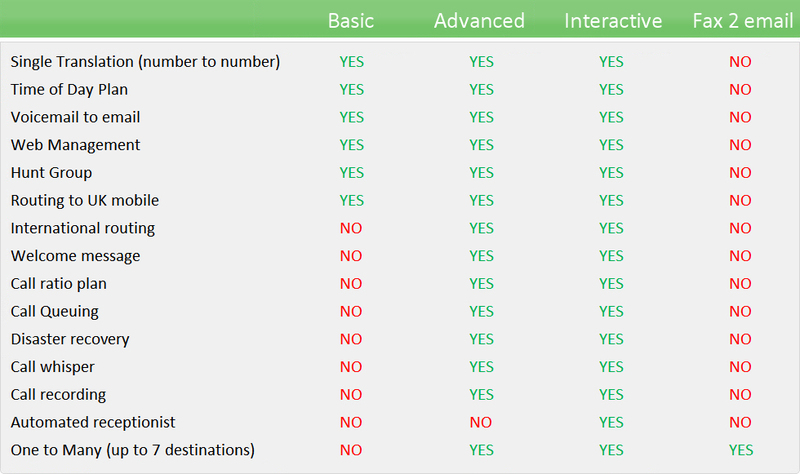 Take a look at all the great services and features we can offer for your non geographic number from us. So if you're in the market to buy an 0870 number, then you've come to the right place, as we offer some fantastic new alternatives. For multiple numbers, high volume call traffic or bespoke services, please contact us.